Cerebral haemorrhage. 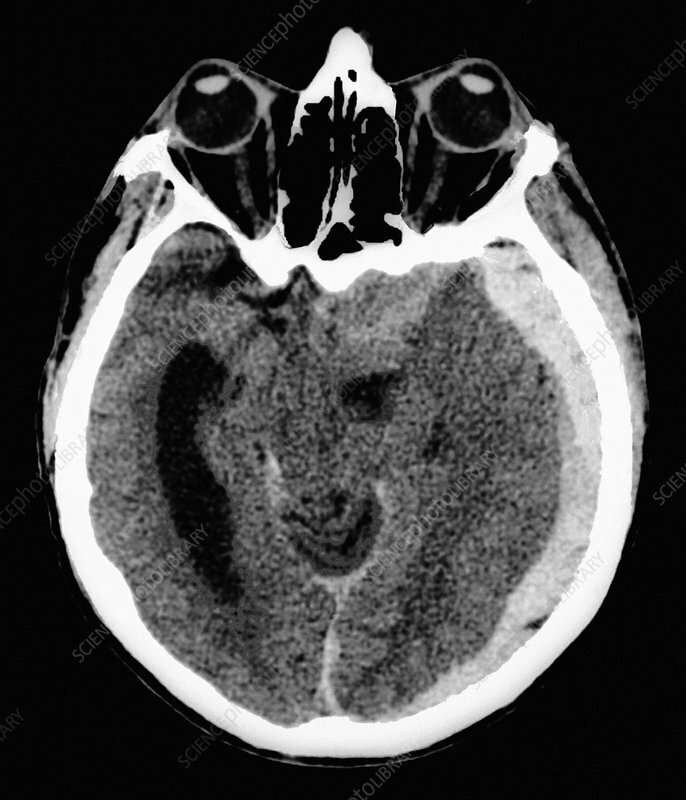 Computed tomography (CT) scan of an axial section through a head showing a subdural haematoma (pale band down right). Subdural haematoma occurs when an injury causes bleeding between the membranes that surround the brain. The blood rapidly clots to form a solid mass. Subdural haematoma is a dangerous condition, usually caused by impact to the head. It is more common in the elderly, because the blood vessels involved become more fragile with age. People with blood clotting problems, such as haemophiliacs, are also at risk. Treatment is usually the surgical removal of the clot. CT scans use X-rays to image sections of the body.